Wait, what? 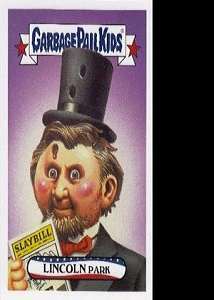 Topps says its 2016 Garbage Pail Kids Series 1 cards are suitable for ages 6+? The box set is listed as a "brand new 2016" edition, so you'd think they realize it's 2016. And that no hypersensitive, Purel-obsessed helicopter parent is going to let their 6-year-old play with, or even look at, that...uh...Garbage. 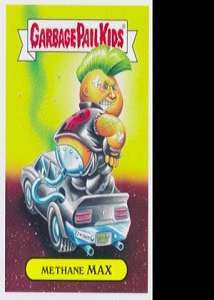 My mama let me have Garbage Pail Kids from age 4, of course. But things are different now, with all the cyber bullying and real-life bullying and internet trolling and calling a fat person fat being worse than calling them an F-wad. 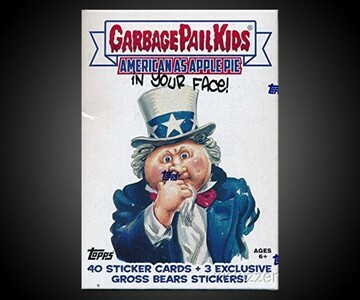 I don't know who today would buy their kids a 4-pack box set of Garbage Pail Kids that also includes 3 special Gross Bear bonus stickers you cannot find anywhere else, plus 1 Puke Parallel card. 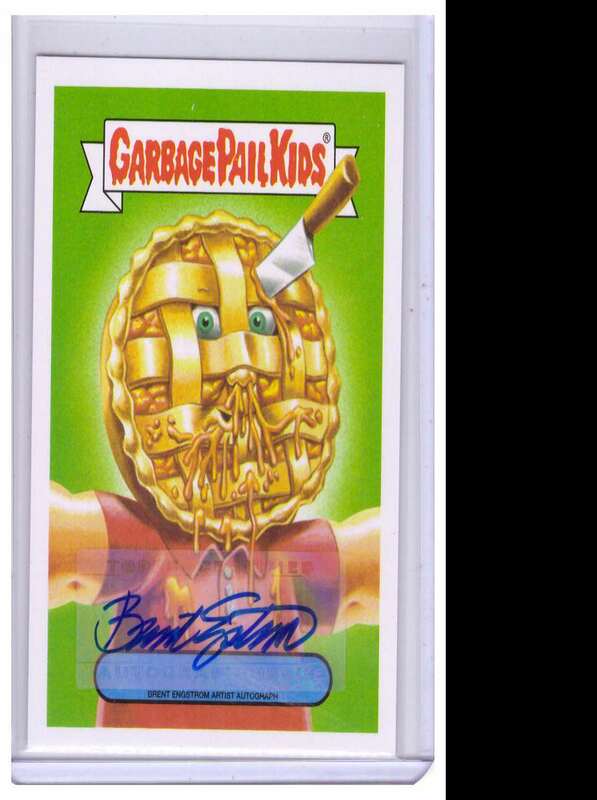 Good thing too, because those of us who grew up in 1980s GPK primetime are going to want these sets for ourselves. Topps' 2016 Garbage Pail Kids series is called "American as Apple Pie in Your Face." It celebrates (i.e., perverts and ridicules) the history of the USA with 9 brand new themes. They include: parodies of uniquely American things, such as cowboys, BBQ, surfing, and muscle cars; American Swept Under the Rug, aspects of America we'd rather keep hidden; the 2016 Summer Olym-Picks; and America's Pastimes.